Of course, you want to do everything you can for your child, including adjusting their diet to make it allergy safe and encouraging a healthy social life. While these things may seem unrelated, they can intersect when living with a food allergy brings social consequences. How can you and your child navigate these social impacts so your child can be happy and healthy? Unfortunately, children with food allergies are often separated from their peers and not allowed to participate in certain activities without the parent being present, in case there is a problem. This can make the child feel excluded, and if parents’ work or other responsibilities keep them from being able to attend, the child is left out. 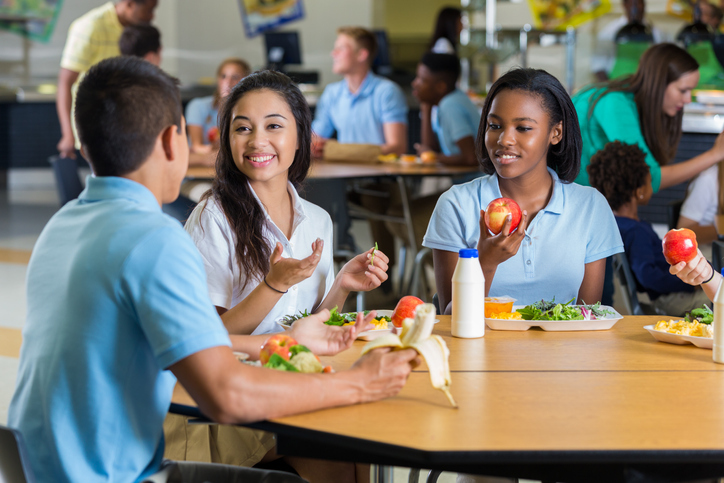 When the child is separated and eating different foods than everyone else, they may even face bullying. On top of social isolation, food allergies can lead to anxiety and depression in children. So, what can you do to make the situation better? If a program is excluding your child, taking legal action is a possibility, as the Americans With Disabilities Act made those with food allergies a protected class in 2008. However, taking legal action can further the social isolation by causing rifts in friendships and communities, as was seen in the case of a child being excluded from a children’s theater program because of a peanut allergy. Also, you may want to try different methods before resorting to this. Connect with other families. This could include finding or creating a support group at your child’s school or in the community. This will help you and your child know you’re not alone, and you can share your experiences with other families going through the same thing. Also, try to band together with other allergy-friendly parents whose children are participating in the same programs as your child. You can work as a team in how you handle activities that could pose a problem. Set up non-food playdates. Give your child time when they won’t have to worry about their food allergy. Set up activities for your child to interact with other kids without food being part of the equation. Your kids could play sports, spend time in nature, do arts and crafts or take part in some other activity that doesn’t focus on eating. Have allergen-free snacks ready in case the kids get hungry. Join an inclusive activity. Look for programs that are understanding about food allergies and willing to work with you. There are plenty of programs and people looking for ways to help rather than exclude children. Talk to your child. Help your child understand that there’s nothing wrong with them and that the problem is not their fault. Help them see that other people don’t always understand food allergies or what to do. Give your child knowledge and autonomy to navigate the food allergy without you, so they feel more comfortable and in control of different situations. Talk to other people. Tell other parents, teachers and adults who will be in contact with your child about the food allergy and how serious it is. Explain to them in a calm, clear way how they can help your child, which could include educating other children about food allergies so they understand them better. Consider counseling. A counselor or other trained professional could provide support to help you and your child manage the effects of the food allergy. This could help with the possible stress, social isolation, anxiety, depression, bullying and other concerns that could be impacting your child. There are some excellent books for kids that deal with the social impacts of living with food allergies in a hopeful, encouraging way. Written by Melanie Nazareth, Can I Have Some Cake Too? A Story about Food Allergies and Friendship is one valuable resource for spreading awareness and hope about food allergies among children, parents, school faculty and caregivers.